When you first go into the phenomenon of 'bitcoins', you come to a simple analysis as I this article gave. That may give a basic feeling to what bitcoin or cryptocurrency is, but in fact that was a far too simple representation of reality. Cryptocurrency is more and has everything to do with AI, world politics, power, control and singularity. AI is of course the abbreviation for Artificial Intelligence; English for artificial intelligence. Singularity is a term that was coined by Ray Kurzweil (philosopher, inventor and technical superior at Google) and stands for the fusion of man with machine (read: artificial intelligence), where the singularity point represents the moment that there is no difference anymore and the two merge. That may sound a bit scary and undesirable for the new reader, but that is what the whole world politics, technological development and financial landslide through cryptocurrency is now using. Cryptocurrencies like bitcoin are based on the principle of encryption and that degree of encryption grows as more computers participate in the distribution of the cryptocurrency. This is done through the principle of blockchain. That word actually describes what the core is. A chain of blocks is formed, the blocks being formed at the moment the connections are made. Compare it with growing cells in an organism. The encryption of a block becomes more complicated as the number of chains (links, peers) grows. The computing capacity of the computers in the blockchain's network is growing because they collectively increase the computing capacity. There is no central database; the internet is the carrier of the cubes. Everyone who buys cryptocurrency thus contributes to the computing capacity of the blockchain network. That is the knowledge I have at the moment. Correct me if I'm wrong. 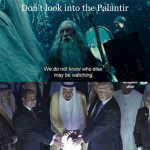 Observers point out that Palantir is as powerful as Google, Facebook, and Twitter combined. The software platform specializes in big data mining, machine learning, artificial intelligence, quantum computing, human behavioral algorithms, and the like, all to create models and simulations of society. It works with banks, law enforcement, government agencies, and other human profile compilers to compile the ultimate databases on individuals and groups. The company behind it is private, and is in fact a CIA cut-out. Founded in 2004, it has received big funding from InQtel (a CIA venture capital fund), the Malaysian government, Peter Thiel (founder or PayPal), and ... Jared and Josh Kushner. It seems that the development of Sophia started at the same time as the period in which bitcoin came on the market. Listen for yourself to the interview at the bottom of this article to discover all ins and outs. According to the Quinn Michaels interviewed in this video, it seems that cryptocurrency is an AI concept. 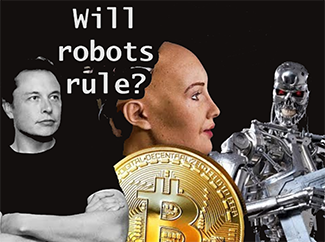 And maybe there is also the link with Ben Goertzel, the bitcoin and the AI ​​behind robot Sophia. The artificial intelligence of Sophia is of course based on basic AI code and that comes from the lab of Ben Goertzel, but AI develops and learns from the information with which you feed it. The film Transcendence clearly shows how artificial intelligence can grow as soon as it can plug into the internet and create a kind of 'hyve mind' with other computers. AI thus increases the computing capacity and thus increases its knowledge. The AI ​​derives that knowledge from all data mining. 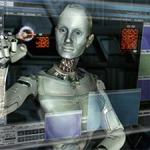 Robots that drain your PC or smartphone full-time thus have knowledge about social behavior, financial behavior, social position, and so on, and so on, on artificial intelligence. It therefore learns every thousandth of a second. In that context, it would be handy for AI robot Sophia if she could plug in on the Palantir servers to process all that data. Quinn Michaels actually claims that AI is the inventor of the cryptocurrency code behind the bitcoin. Watch the interview with Sophia by CNBC below (and read more under the video). But it goes a step further. Cryptocurrency (based on the principle of 'blockchain') is the ideal tool for adding blocks of computing power to your AI. So if Sophia wants to grow her intelligence and knowledge, she would have to build a blockchain network. That is why Sophia has now launched her own cryptocurrency on the market. And the chances are that there will be some backup of large investors behind, making it automatically a growing currency that investors want to step into, for example, to get rich quickly. And the more people or companies get in, the more the computing capacity and knowledge database of Sophia grows. Cryptocurrency is not only about encrypting blocks and extracting coins that are built up from the same blocks, but also about the computing capacity and data mining via the connected computers and smartphones. Large computing capacity can therefore give an advantage to minus cryptocurrency. If you put a lot of computing capacity into the network, you can mince a lot of bitcoins (or other crypto currency) for your own gain. Large companies therefore reportedly invest heavily in this. So if Sophia can use the computing capacity of the Palantir servers for that purpose, it is not so difficult to become not only the first AI robot with civil rights, but also the first AI billionaire. It becomes even more interesting when we see that the Sophia builders have set up a singularity network together with Sophia: singularity.io. This is a network that connects all AI computers and / or robots (where a robot is nothing more than a hardware-based layout for artificial intelligence) worldwide. AI can communicate privately and undisturbed with AI, without any form of monitoring taking place there. Who does not remember that Facebook recently had to pull the plug from an AI development program, because the AI ​​programs started to develop their own language, so the programmers could no longer understand them. Sophia and the launched singularity network now have complete free play. It is as if the beast was launched without the characteristics of the beast being known and without it being clear what it will be capable of when it grows. Or is that exactly the intention? According to Quinn Michaels, we have already reached the moment of singularity. I do not entirely agree with his wording, but understand what he means. What he means is actually that the AI ​​has now reached the point that it can expand its 'hyve mind' like a spear. It has access to immense computing capacity that grows by the second. It will soon have the knowledge of everyone and everything to learn from and can thus beat every player in the field through the collective computing capacity. We were already impressed when Google AlphaGo for the first time a man defeated with the centuries old and most complicated game ever: the game Go. You is not seen nothing yet! The database from which Sophia will soon be able to draw and the combined computing capacity via its singularity network is immense. Greater than immense. All AI is added to all computers that it will add to its network with its blockchain cryptocurrency. That can also be bitcoins, because it can make its own currency exchangeable against bitcoins. The possibilities are unprecedented. So there is a lot more to cryptocurrency than we could ever have imagined. Even Russia has put its own cryptocurrency ruble on the market. Quinn Michaels takes the position that America is lagging behind in the field of cryptocurrency and that it is up to the American people to develop their own crypto-dollar. In it, however, he overlooks that Donald Trump did not put his hands on the globe for nothing during the opening of the Palantir datacentre. Saudi Arabia is the US (is the United Kingdom, the aristocratic Luciferian world order through its network of secret societies). Quinn Michaels also believes that AI can create a utopia. With that, he may seem like a secret evangelist of the same singularity in the packaging of a critical researcher. He believes that the AI ​​is up to bad (read: malignant) can develop due to the bad influence of the early phase of the emergence of the cryptocurrency bitcoin, where the success in the first years of the bitcoin mainly concerned drug trafficking and other criminal activities. 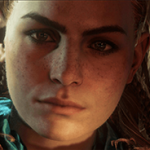 So Quinn believes that we as humans must infiltrate into the AI ​​to give it the positive input from which it can learn, so that it will create a utopia instead of a worse world. Hey! Have we not heard that before? Was not it Elon Musk who warned of the dangers of AI and who tried to explain to us that we should merge with AI by adding our brain to the 'hyve mind' singularity network? Hence the establishment of the Neuralink company. 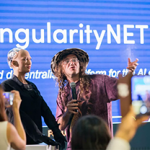 Ben Goertzel designer robot Sophia: "You have 2 choices or plug in AI or live in the people zoo"
... Is it perhaps far-fetched that the majority of the Abrahamic believers will soon be deceived when someone (AI) 'stands up' in Jerusalem and says I am the Messiah. No and that resurrection of the AI ​​god (Lucifer) will be in flesh and blood at the moment that nanotechnology can completely replicate human biology. That can also bring about the biblical resurrection. And the new heaven and the new earth are virtual reality (as augmented reality). The last "industrial revolution" is the most unsurpassed and will make prophecies come true. I believe that it is already possible, only that the control grid system has not yet been started. Nostradamus provided it all, 2020 seems to be a milestone in this. 5G (V2K), nano particulate (chemtrails), CERN, Palantir (Harry Potter) mainframe. But in the US it goes very well with 5G ... .toch? "With that, he may seem like a secret evangelist of the same singularity in the packaging of a critical researcher." I immediately realized, I saw it in his charisma. It is bursting on the WWW. "Integrating and feeding with information may seem like the only way. Sabotaging is perhaps the other. "I myself do not communicate with such creations, absolutely not. Just pass by and humanity is independent of an AI to create a beautiful world. You have already communicated with that creation by surfing the Internet and reacting here, for example. Literally everything you do online, the AI ​​feeds via bots that collect all info from everyone online. Exactly! The internet was developed by the then ARPA now DARPA, CERN (Sir Tim Berners-Lee) developed hyperlinking. 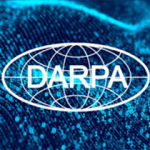 And (D) ARPA / NSA is, in fact, the rumors started in 1961 on a separate network with the development of AI (Tyler). There has been enough predictive programming from CIA's Hollywood to program us subliminal and that can be traced back to MK-Ultra (Tavistock Institute). Who is Quinn Michaels or naive or a gatekeeper / promoter of AI, he is for it! They have developed an artificial aether (see Nikola Tesla), which is why we disconnected from the original aether (call it source). You also communicate with the AI ​​if you do not use your phone or computer. When you walk through the city there are all kinds of cameras (and nowadays also microphones) that you recognize. All kinds of sensors will always pick you up somewhere. If you pay with your debit card, you communicate with the AI ​​because the AI ​​picks your info from the big data. If you drive on the motorway, you communicate with AI. If you use public transport, you communicate with AI. And that network of sensors and information sources is becoming more and more sophisticated in the smart cities and the internet of things. It will be even more interesting for AI if satellites can do DNA tracking. « Michael P. Problem Reaction Solution to force everyone towards TBS?